Please let us know at what time you will be arriving to the hotel. 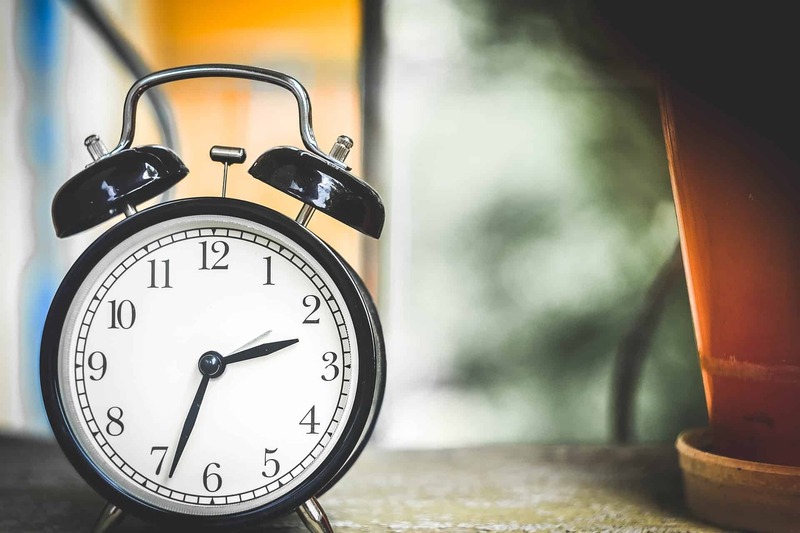 In case of an early check-in or a late check-out, please indicate in the comment box your specific arrival or departure time. Also, note that we can store your luggage at the reception. Our restarant La Terrasse du Versailles is open everyday from April 1st until September 20th, every year. Please indicate the details of your trip and we will be pleased to organize your transfer. If you are coming from the airport or the train station, please use the comment box to let us know your flight or train number. By car: Nice Promenade des Anglais → Port of Nice → departmental road D6098 → Villefranche-sur-Mer. By bus: 81 from the Modern Art Museum, 100 from the Port of Nice. 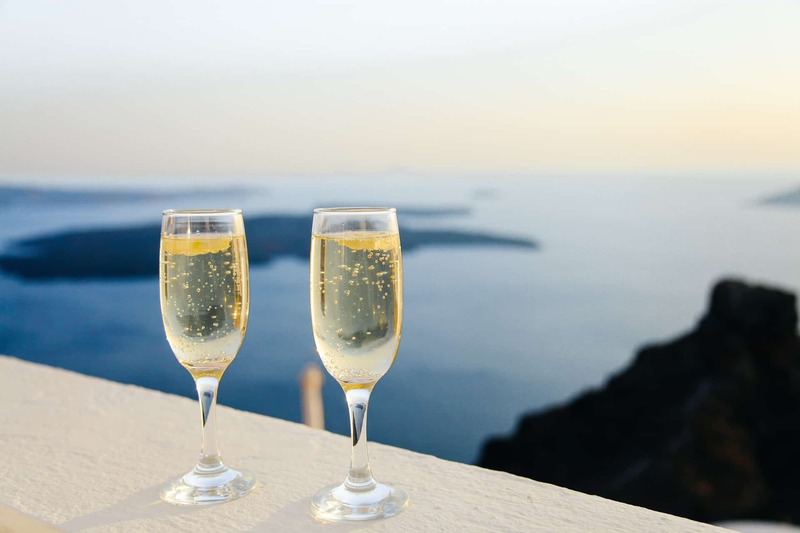 Prepare your stay by ordering champagne for your room. A bottle of champagne will be waiting for you upon arrival. 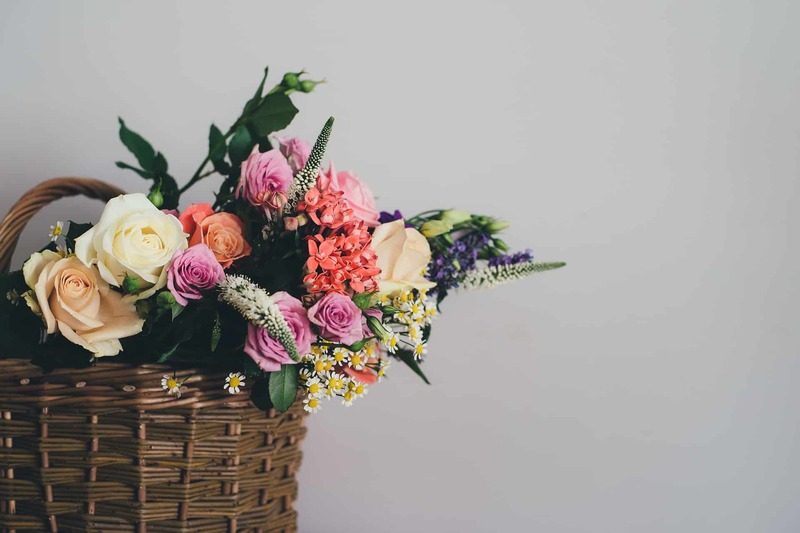 If you wish to have flowers in your room, please let us know. We will find the perfect bouquet for you. Please choose the massage you want. We will do our best to book it at the date and time you request. Emilie is our teacher of Hatha Yoga. 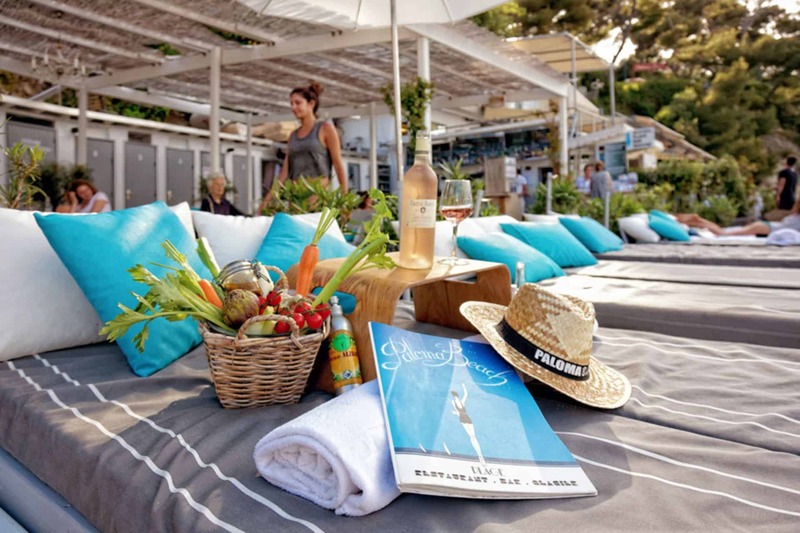 Every Friday, from 5.30pm to 6.30pm, she gives a class on the pool deck. Price: 15€ for the Friday lesson and 70€ for a private class (up to 2 people). If you want to book a class, please indicate the time, date and number of participants. We will do our best to confirm your request, depending on availability. 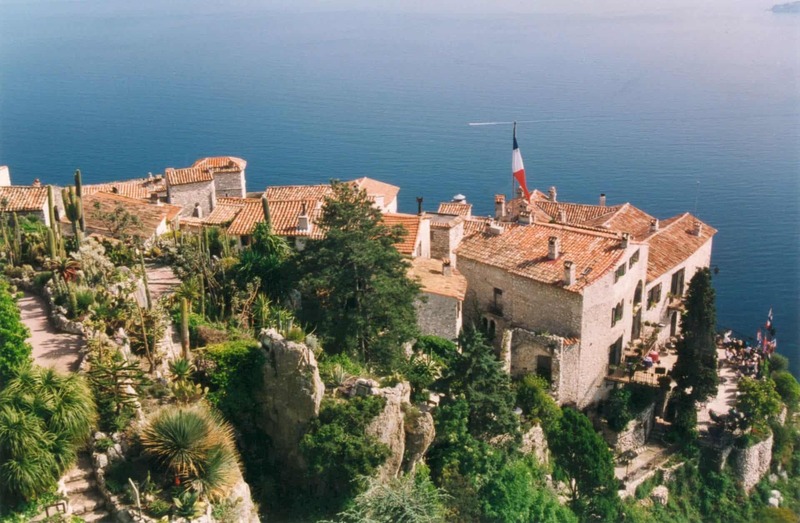 If you would like to discover French Riviera in a rented car, click here. If you choose an ecological transport, hire a bike at Eco Loc. 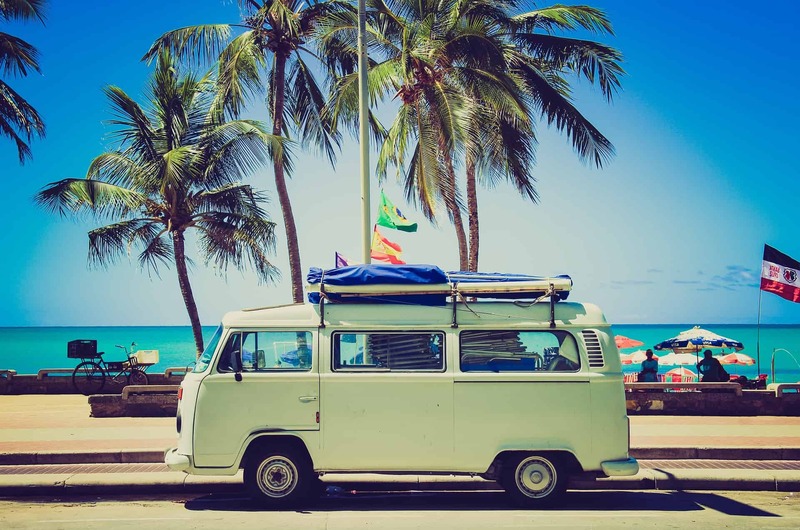 If you are dreaming about spending some magic moments on a boat with your family or friends, click here to hire your boat for a day or a half day trip. 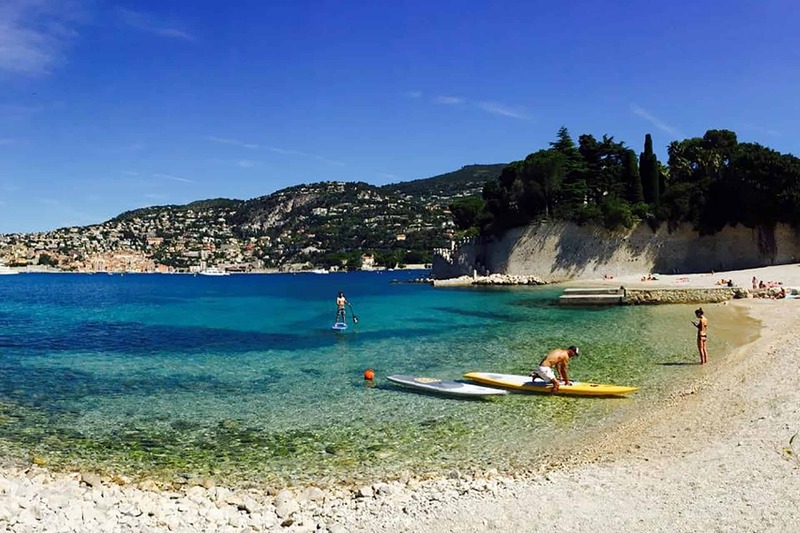 It is possible to rent Paddle at the plage de Passable in Saint-Jean-Cap-Ferrat. Prices include a free initiation class. The rental includes stand up paddle SCHOOL Bic vario paddles, that of stand up paddle RACE includes the choice between carbon or vario paddles. 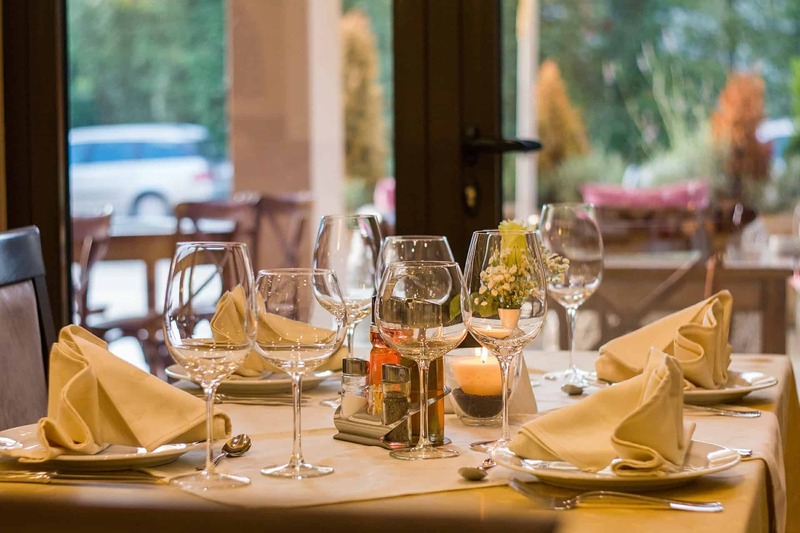 It is a restaurant, a “rendez-vous”, a moment of pleasure and gastronomy, all set in a welcoming and friendly environment. 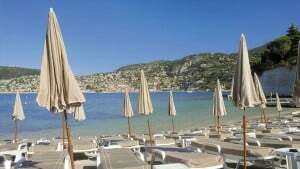 Located at Villefranche-sur-Mer, in the old town, just 50 m away from the docks, the restaurant offers an intimate and peaceful setting. The dining area is arranged in an old typical house full of charme. Its contemporary decoration makes it a simple place. The tree-lined terrace, with a beautiful bougainvillea, extends the dining area in a relaxing, holiday-like atmosphere. 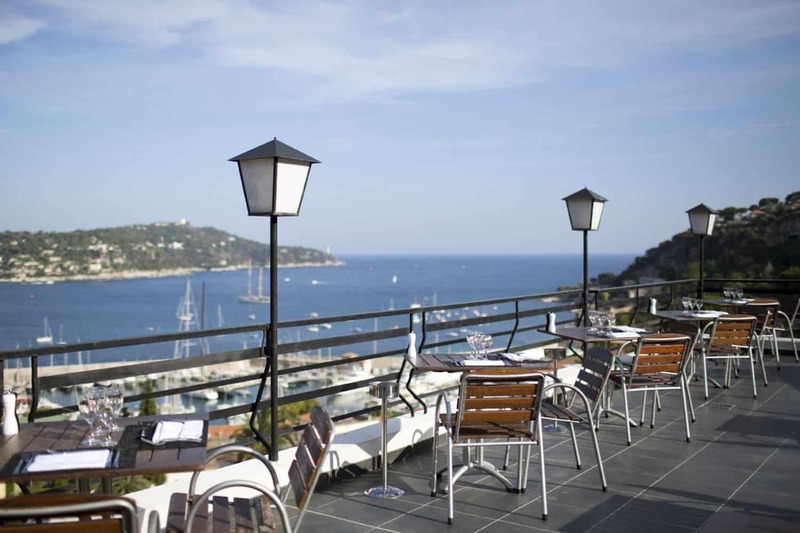 Restaurant located in Villefranche-sur-Mer in an exceptional decor, beautiful views on the bay of Villefranche and the Cap Ferrat. ‘La Mère Germaine’ Restaurant in Villefranche-sur-Mer is a major gourmet landmark on the French Riviera since 1938. “When I look at Villefranche, I can see my youth. May men never be allowed to change it” said the poet and artist Jean Cocteau of this legendary place. It was in this fishing port between Nice and Monaco that La Mère Germaine chose to locate her restaurant in 1938. On the waterfront, a unique site on the French Riviera, this house fits perfectly in the tradition of fine dining, hospitality, comfort and gastronomy. Try the fish and seafood specialties or its famous bouillabaisse, one of the best in the region. Café & Snack – Facing the beach ! L’Oursin Bleu, a remarkable gourmet restaurant facing the bay of Villefranche-sur-Mer, combines the magical beauty of a setting full of history to the subtlety of fine cuisine. The rigorous product selection emphasizes the freshness of the food. It has the absolute best quality of products paired with a creative take on authentic cuisine. Try the “chic bouillabaisse tasting”, “monkfish steak with foie gras as a Rossini”, “big prawns” or the “vanilla pear tartare with ginger”. In these dishes, you will discover exquisite and unexpected flavors. L’Oursin Bleu, concerned about your comfort, offers a valet service and a skipper service to pick you up on your boat, 7 days a week from April to October. On the peninsula of Saint-Jean-Cap-Ferrat, nested between Nice and Monaco, this location is one of the most sought after location of the Côte d’Azur. With lush greens and sheltered from the wind, the Passable beach is warn all day long by rays of sun. – A simple sea journey. – A lunch, a dinner, a cocktail. – A half or full day cruise. – Any type of promotional operations, meetings, public relations, press conferences, seminars, etc. On a gorgeous coastal sightseeing tour of about an hour long, allow yourself to be carried away on this charming nautical excursion… From Cap de Nice to the Promenade des Anglais passing through the famed Villefranche bay, you will marvel at the dream surroundings, rich with splendid structures and magnificent villas. More info about this tour right here. 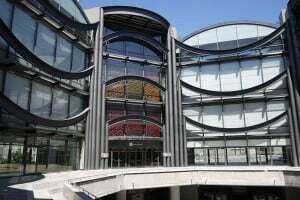 If you wish to book your tickets, please contact the reception and enjoy a special 10% off discount! A unique itinerary allowing you to visit Sainte Marguerite Island and to discover the Esterel Massif. More info about this tour right here. The Village, the Harbour, the Boutiques, the Place des Lices, the Citadelle, the Quartier de la Ponche, the Church, the Annonciade Museum… More info about this tour right here. From 24/05 to 03/07: Tuesday, Thursday, Saturday and Sunday. From 05/07 to 31/08: Everyday except Monday. From 01/09 to 02/10: Tuesday, Thursday, Saturday and Sunday. Enjoy a stunning spectacle at sea… More info about this tour right here. More info about the braderie right here. Clinging on a rock dominating the sea, this independent state, completely enclosed by French territory, is a mixture of ancient and ultra-modern architecture. More info about the cruise right here. 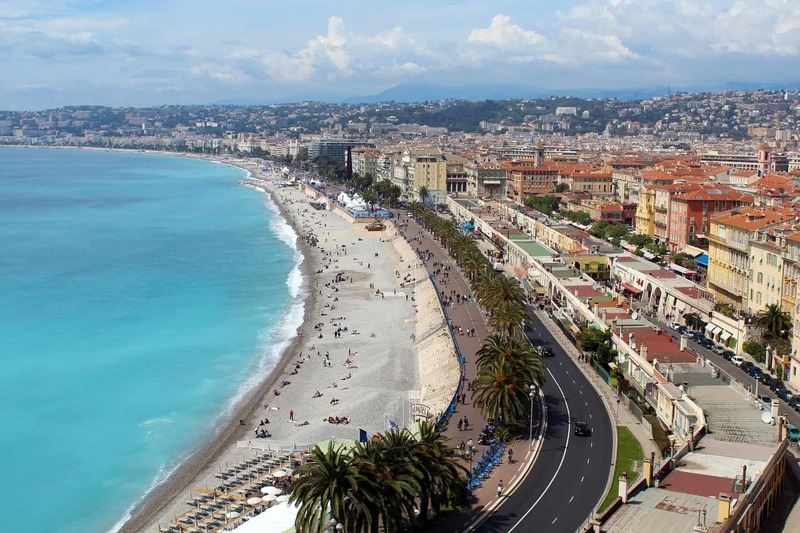 Exceptionally the Nizza – Monaco cruise will run on Saturday May 7th 2016. From 17/05 to 29/09: Tuesday, Thursday and Saturday. In the heart of the Riviera, halfway between the Italian border and the Nice Côte d’Azur international airport, the Hotel Versailles is ideally located to enjoy the region from the best possible vantage point. From the rustic charm of old Nice to the Principality of Monaco’s grandeur, the lush gardens of the Villa Ephrussi de Rothschild to the historical pergolas of the Villa Kerylos, from its 16th century Citadel to the traditional fishing boats of the Port of Villefranche, follow in celebrated artist Jean Cocteau’s footsteps to explore Villefranche-sur-Mer and its surroundings. Painters and sculptors collaborated with the Catalan architect Josep Lluís Sert, creating works which were integrated into the building and the surrounding natural environment: the Giacometti courtyard, the Miró labyrinth with its sculptures and ceramics, the mosaic murals of Chagall and Tal Coat, Braque’s pond and stained glass windows and Bury’s fountain. Indoor and outdoor spaces link up with each other through the sculpture garden, the courtyards, terraces and patios. 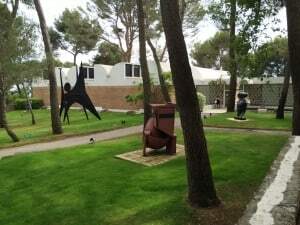 The Maeght Foundation is already famous for its architecture and gardens; it is also home to one of Europe’s richest collections of modern and contemporary art. The greenery of its grounds makes the Maeght Foundation the ideal place to discover the great artists of our time. The MAMAC turned 25 years old in 2015. This summer the museum will present its new exhibition «À propos de Nice : 1947-1977» (« About Nice: 1947 – 1977») which will be open from the 23th of June till the 22th of October on the second and the fourth floors of the museum as a part of the general program « Nice 2017. École(S) de Nice » organized by the Ville de Nice. Arman who were both born in Nice. Constructed on top of the ancient acropolis of the Greek city of Antipolis, roman castrum, it became a residence to bishops during the Middle Ages (from 442 to 1385), the Grimaldi castle has been inhabited by the Monegasque family that gave it its name, since 1385. First the King’s governor lived there and from 1792, it became the city hall. The building was then transformed into barracks in 1820, marking the taking possession of the premises by military engineers until 1924. 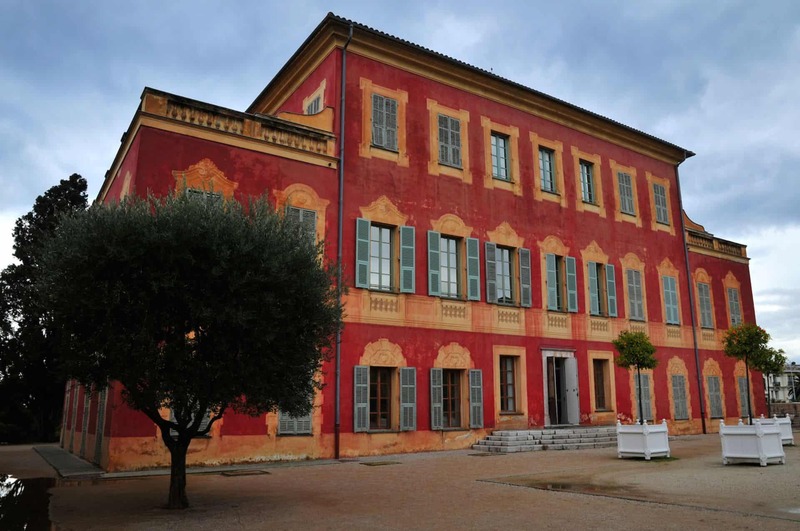 Professor of French, Greek and Latin at the Lycee Carnot in Cannes, Romuald Dor de la Souchère began in 1923 archaeological searches in Antibes. 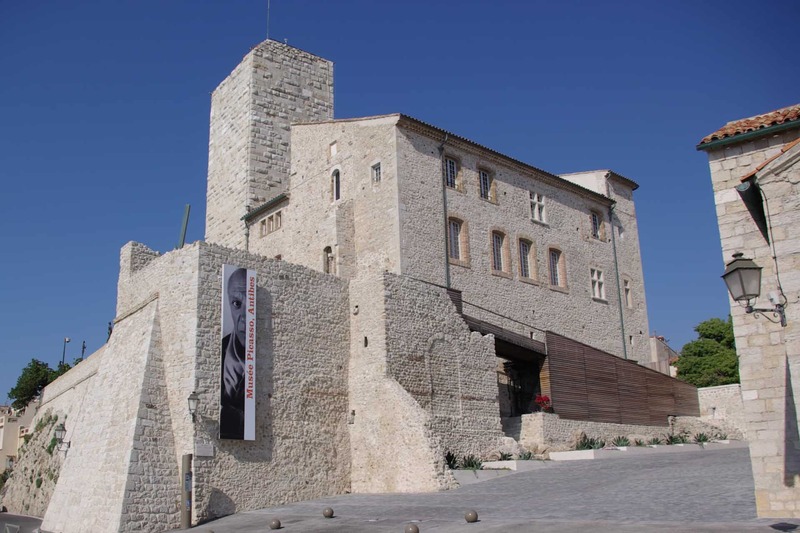 On March 29, 1924, Dor de la Souchère created the society of Friends of the Museum of Antibes. Their goal was to establish a historical and archaeological museum and to work on publicizing the history of the region. In 1925, the Grimaldi castle was bought by the city of Antibes and Romuald Dor de la Souchère became its first curator. In September 1945, Pablo Picasso visited the Grimaldi museum for the first time and in 1946, Romuald Dor de la Souchère asked him to use part of the castle as a workshop. 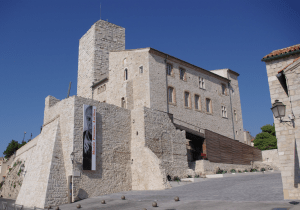 The Matisse Museum is situated on the hill of Cimiez, not far from the Franciscan monastery with its Italian gardens, the Hotel Regina where Matisse used to reside, and the Gallo-Roman ruins. The Museum has been welcoming visitors to see its collection of works since January 5 1963, left by the artist (and his heirs) to the city of Nice where he lived from 1918 until 1954. The village of Èze is located a few kilometers East of Villefranche, and is a beautiful picturesque village with a history dating back to the Greeks. The village stands atop a hill, making for beautiful pictures, and can be visited by foot. To learn more about this village, visit the Èze Tourism website!